This was the view outside my window this afternoon… it hardly seems possible, but baseball season really isn’t that far away. In addition to our usual off-season silliness – articles about how the Mets should retire Mike Piazza‘s #31 to “steal the Yankees’ thunder,” Las Vegas oddsmakers’ predictions about how many games your favorite team will win, and Jerry Seinfeld still trying to get Bobby Ojeda‘s SNY job back – there were actual glimmers of baseball news from Port St. Lucie. While Bobby Parnell won’t address the media until tomorrow, ESPN New York’s Adam Rubin says that the Mets’ once and future closer is only likely to spend the first two to three weeks of the season on the disabled list after having Tommy John surgery on April 8, 2014. I certainly like the attitudes of our bullpen guys. 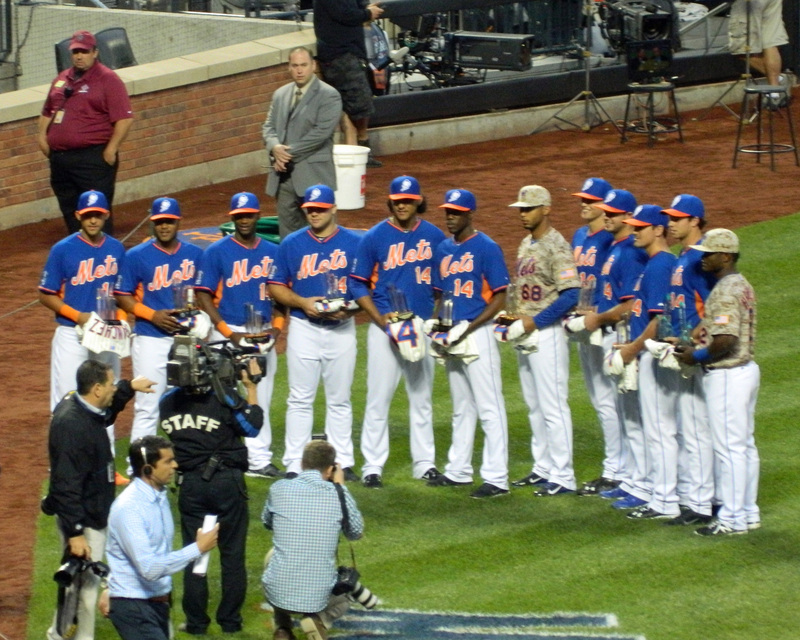 “I think this is the year,” Familia told NJ.com’s Mike Vorkunov. 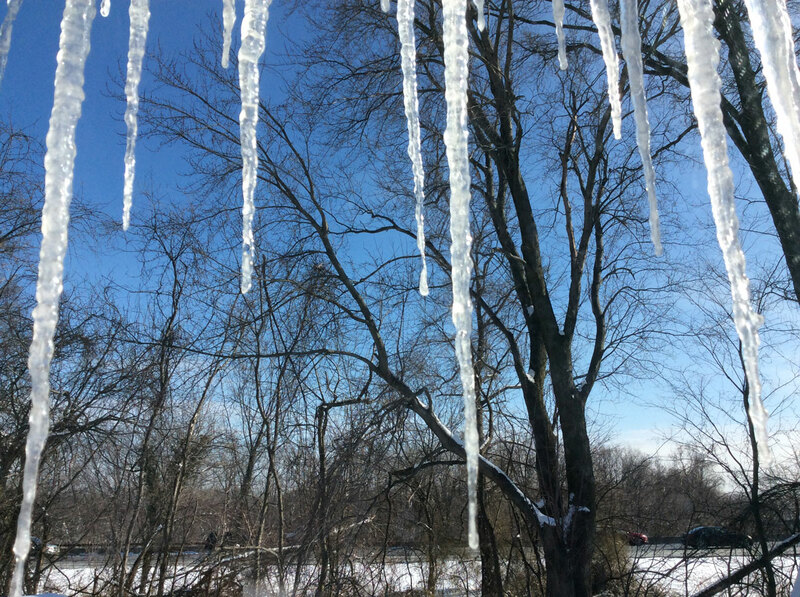 On February 17th with icicles outside my window, I agree with Mejia. We gotta believe that we’re gonna see baseball weather, that the Mets are gonna be good, and this really could be the year. I haven’t bought any more packs of 2013 baseball cards since the three I picked up last week, but my friend Bart gave me a few more Mets cards. Lucas Duda… potentially the best hitter in what is likely to be the worst Mets outfield of recent memory. Of all the players who wear #21, Topps chose Duda for card #21 in this years set, so he’s got that going for him anyway. Schwinden has not looked like a pitcher who can win in the major leagues in his two 2012 starts, though both have taken place at hitter-friendly ballparks: one in at Denver’s Coors Field and the other at Houston’s Minute Maid Park. 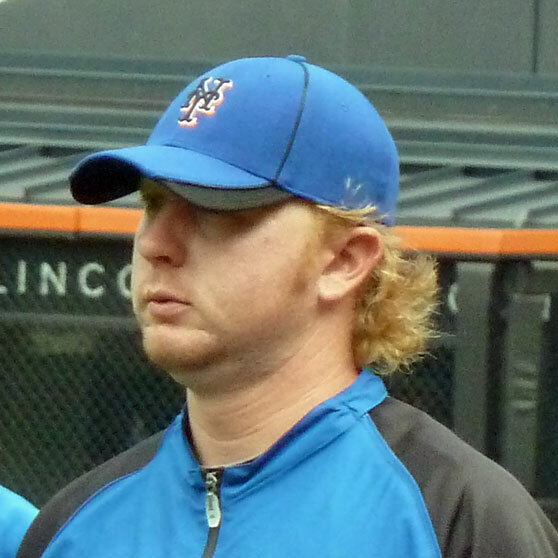 And as blogger Toby Hyde points out, there’s not much reason to expect Jeremy Hefner would really give the Mets a better chance to win. 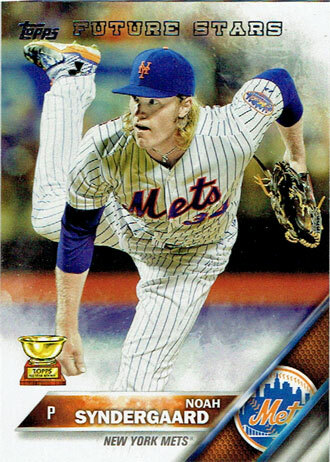 Until Chris Young completes his rehab from shoulder surgery, Schwinden and Hefner are the Mets’ best in-house options… unless you really want to see Miguel Batista pitch more innings. Jeurys Familia is averaging better than one walk per inning at Buffalo; no matter how good his stuff looks, it’s clear he’s not ready for the majors. Matt Harvey has a grand total of 165.2 professional innings to his credit… so it seems premature to bring him to the major leagues too. A new week brings us that much closer to the start of baseball season. Yesterday, most of the beat writers picked a player to profile for the Sunday sports sections. I enjoy reading these articles during spring training – particularly the ones that focus on something other than baseball – because really, how many times do you want to see “I’m in the best shape of my life” quotes? For the Newark Star-Ledger, Andy McCullough profiled backup outfielder candidate Adam Lowen and did a question-and-answer column with Jason Bay that focused on music. Andrew Keh wrote about minor league outfielder Kirk Nieuwenhuis for the New York Times. And in the Daily News, Andy Martino wrote about minor league pitchers Jeurys Familia and Matt Harvey.